My Biblical trivia is, let's just say, more than a little rusty. But it seems like every few months Hollywood is having me dig back into the archives of my memory as a young child, toting my children's Bible to church. What is it with the recent trend of religious movies coming out of the Hollywood machine anyway? Is the influx of dark dystopian stories compelling filmmakers to seek solace in the Holy Word? 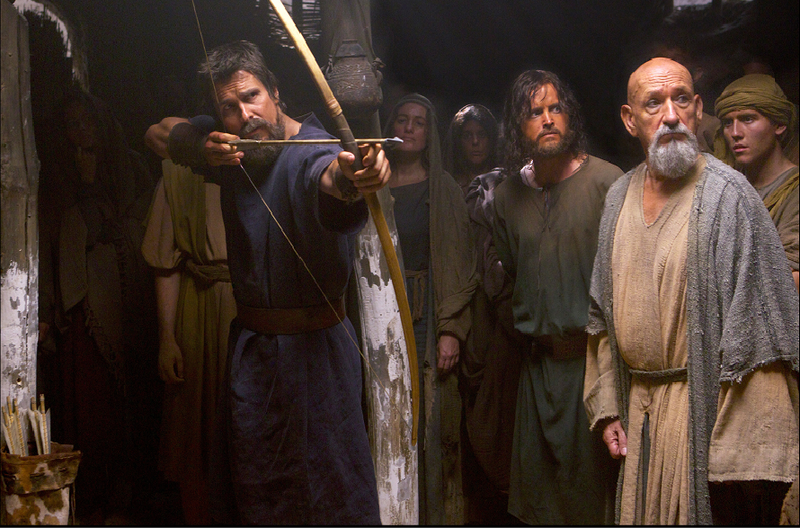 I don't take away anything from those who admire these types of films, like Darren Aronofsky's Noah (which I still plan to see). And I can't say that I'm turned off from them myself--like any film, I look for the presentation of the story, and how it will be modernized for today's wider audience. But with all the backlash toward Noah regarding the role of race and the debate surrounding the Biblical tale, I figured Hollywood would be more weary of this genre. 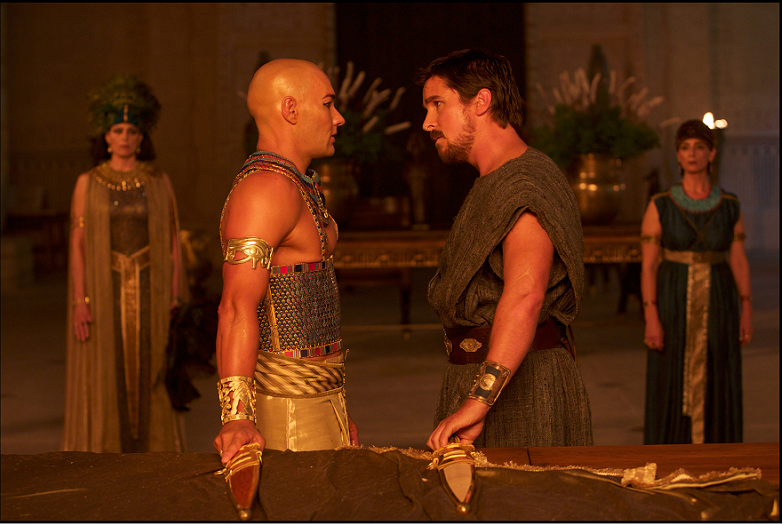 Which brings us to EXODUS: GODS AND KINGS, in which Christian Bale stars as Moses who stand as up against the Egyptian Pharaoh Ramses (played by Joel Edgerton) and frees 600,000 slaves. I really try not to get involved with religious debate and interpretation of the Bible, as I learned a long time ago that people's relationship with the Bible is very personal and applied directly to how they choose to lead their lives. And I have to respect that. But I can't say that it didn't give me pause to see the amount of tanning makeup Bale and especially Edgerton--and Sigourney Weaver, who's also in the movie--are wearing in the new trailer released on Tuesday. I mean, even the characters in Disney's The Prince of Egypt looked more authentic. And that was a cartoon. Aaron Paul, John Turturro and Ben Kingsley are also in the film, which rounds out a star-studded cast. Steve Zaillian (The Girl with the Dragon Tattoo, Moneyball, American Gangster) wrote the screenplay. 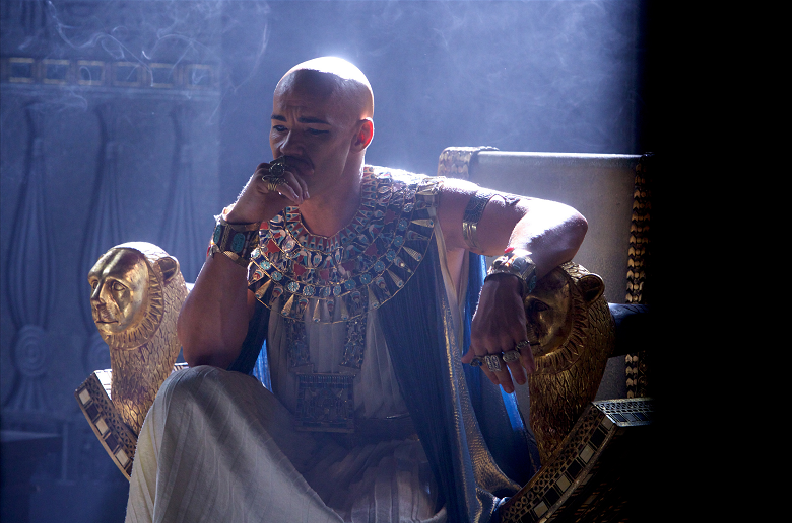 EXODUS: GODS AND KINGS hits theaters December 12th.